Handling a divorce? All Points Appraisal, Inc. has the experience for these matters. We realize that divorce is never easy. There are countless decisions to worry about, including the status of the shared residence. There are generally two options when discussing the shared residence - it can be sold and the proceeds divvied up, or one party can "buy out" the other. In either case, one or both parties would be wise to commission an appraisal of the shared real estate. An appraisal for the purpose of asset division requires a well-supported, professional report that can be supported during a trial. When you order an appraisal from All Points Appraisal, Inc., you are assured the best in service with professional courtesy and well-supported conclusions. Through experience and education, we've learned how to care for the sensitive needs of a divorce situation. All Points Appraisal, Inc. is there when you need an appraisal for the purposes of a divorce or other allocation of assets. Attorneys as well as accountants in New York rely on our opinions when calculating what real estate is worth for estates, divorces, or other disputes needing a value opinion. We understand their needs and are accustomed to dealing with all parties involved. We provide appraisal reports for courts or various agencies that meet or exceed their requirements. For legal professionals representing a client in a divorce, your case's research regularly needs an appraisal to determine market value for the residential real estate involved. A lot of the time the divorce date may not be the same as the date you ordered the appraisal. We're experienced with the processes and what is vital to perform a retrospective appraisal that has an effective date and Market Value estimate matching the date of divorce. 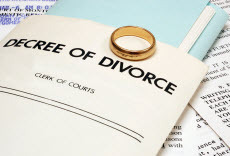 For each divorce appraisal we handle, we understand that they need to be handled delicately. The Uniform Standards of Professional Appraisal Practice (USPAP) contains an ethics provision which dictates confidentiality, guaranteeing you the utmost discretion.